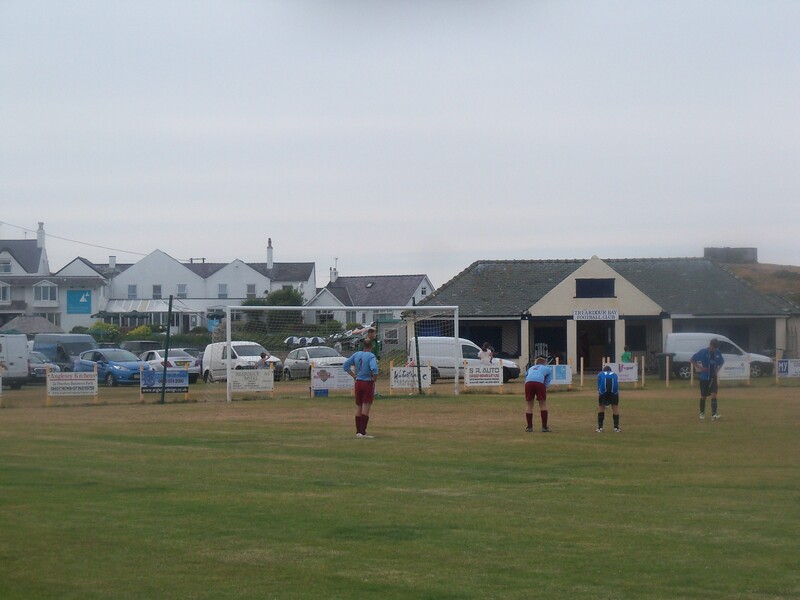 This was the third and last ground of my Anglesey holiday and the newly promoted Trearddur Bay United, winners of the Gwynedd League last year. 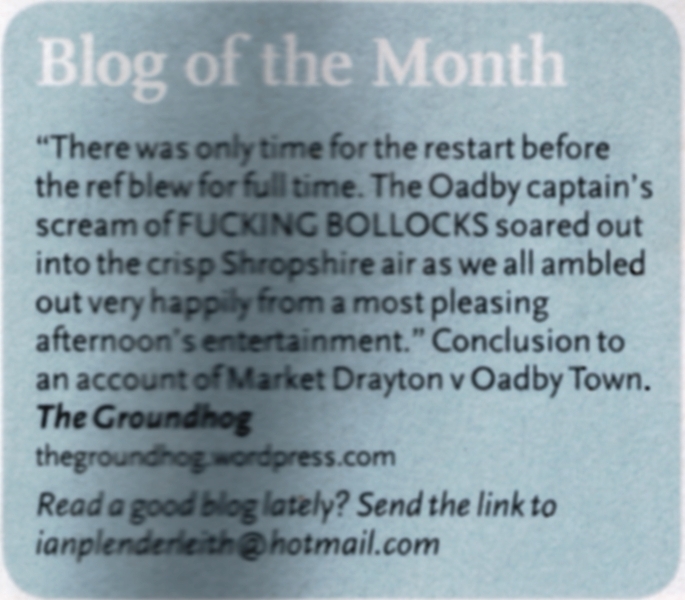 Despite being the smallest, it was my favourite of the three, helped in part I’m sure by the nine goal scoreline. 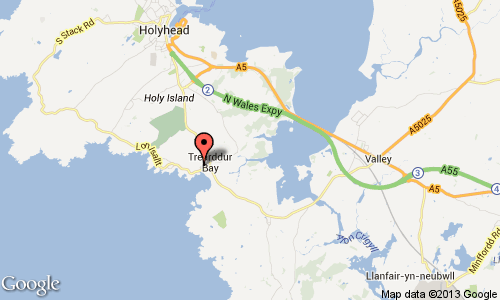 Trearddur Bay shares Holy Isle with Holyhead, lying just down the road from the biggest town of Anglesey. Whereas Holyhead is suffering a decline and is quite deprived, just a few miles away Trearddur Bay is a wealthy picture postcard of a village sporting large mansions. The ground is in a wonderful location, just a goal kick’s distance from the Irish Sea. The coastal road forms one edge of the ground, with a stone wall providing an excellent vantage point to watch the game. A small refreshment bar was open in the clubhouse, but just as near were the beach-side burger and ice cream vans and the promenade coffee shops, selling buckets, spades and drinks. We’d spent the morning on the beach in the bay, a lovely beach in a cove about 3/4 mile wide. At 2pm Dylan and I ambled from the beach (him still in swimming trunks and flip flops) to watch the game. We picked up an ice-cream each and sat on the wall watching them warm up – probably as good a build up to a game as you could imagine. The ground is mostly railed, but with some sizeable gaps, with a clubhouse in the corner. Despite there being no stands or cover its location, wall and views give it charisma. 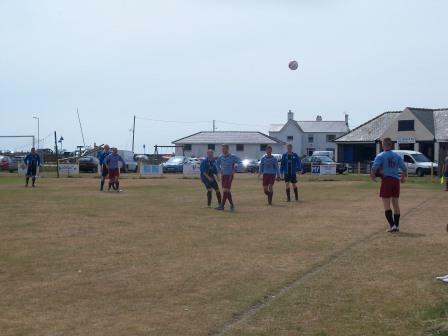 Champions of the Gwynedd League and awaiting a season in the Welsh Alliance Division Two, Trearddur were hosting Gwalchmai, one step up in the first division. The game was a classic with both teams attacking. Gwalchmai took the lead against the run of play after a goalkeeping fumble. TB equalised with a close range header. They took the lead with the best goal of the game half volleyed over the Gwalchmai keeper. A twenty yarded set up from a free kick gave the host a 3-1 lead with only 20 gone. Gwalchmai got one back with a chested goal from six yards and equalised before the half hour was out. As with so many games that have an avalanche of early goals, I half expected it to finish 3-3, and it looked a possibility as about 40 minutes elapsed before and after half time with no more goals. 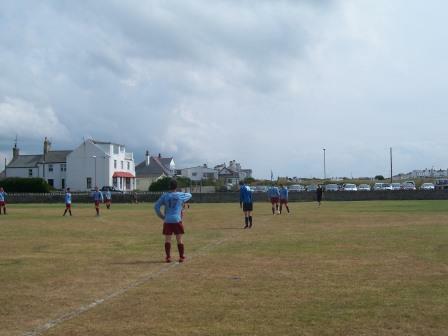 It wasn’t for lack of scoring chances though, as Trearddur Bay missed a hatful of chances. By the end of the game it could easily have been 10-7. It was Gwalchmai who made the best of their chances, though, as a brilliant passing move set up a clinical finish for 3-4. Trearddur equalised with a penalty, but then Gwalchmai hit back with a fierce drive into the corner, 4-5. 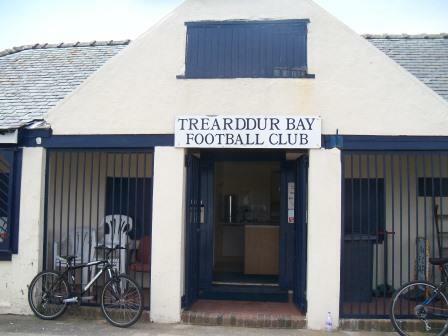 Trearddur had a free kick late on to equalise. It was brilliantly saved on to the bar to give Gwalchmai the victory. This entry was posted in Travelog and tagged Gwalchmai, Gwynedd League, Pavillion PLaying fields, Trearddur Bay United, welsh alliance. Bookmark the permalink. Glad you got a name for the ground.